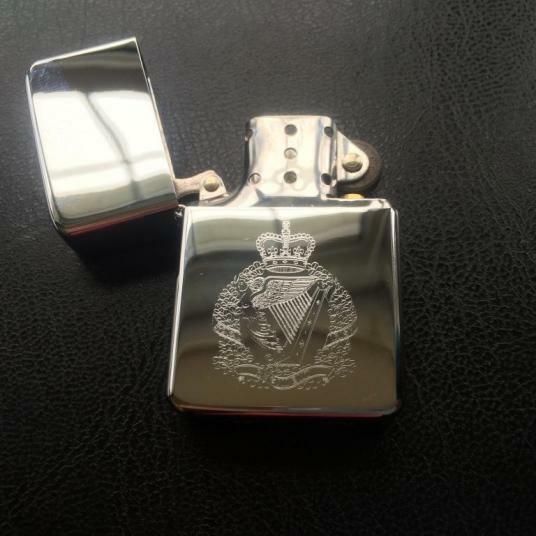 Zippo style wind proof lighter in a silver colour with the Royal Irish Regiment Crest engraved onto the front. Keep lighter away from children under 3 years old at all times. This lighter is not child proof.